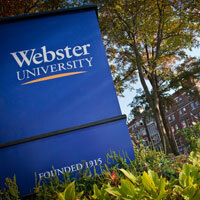 ST. LOUIS - Webster University was named a “School of Distinction” by Bestcolleges.com for its online learning and degree programs, it was announced last week. The “School of Distinction” title is awarded to colleges with online programs that are consistently ranked among the best in the country. According to Bestcolleges.com, the staff reviewed 2,000 online programs and selected the top 100. This year, 15 schools earned a gold standing, 26 earned silver, and 59 earned bronze. The full rankings can be found online at https://www.bestcolleges.com/features/schools-of-distinction/.